This little number was inspired by the lovely Malabrigo yarns and is part of their Malabrigo Quickies series—quick patterns that use only one or two skeins. It only requires 15-20 yards of the contrasting color, so it’s great for using up scraps and leftovers, especially of that gorgeous luxury yarn that you only have a few yards left but can’t bear to throw away. 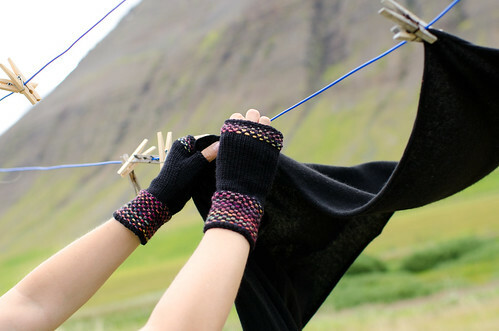 Or use it as an excuse to buy those cute little mini-skeins that you see at festivals but never know what to do with. Unlike some of my other patterns, this design wasn’t inspired by any particular theme or event; I just wanted to do something a little geometric and play with the colors. 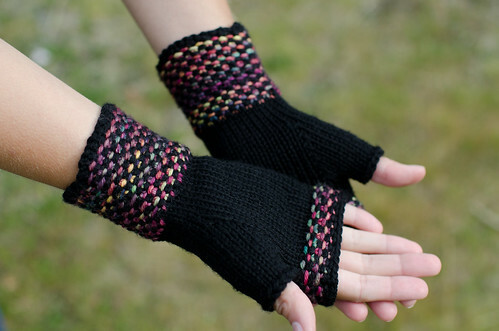 So I struggled to come up with a name that wasn’t totally generic (“Linen Stitch Mitts?” “Linen Stitch Quickies?”). 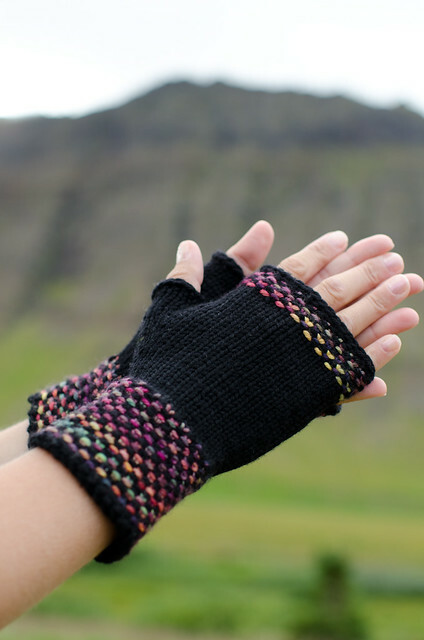 Finally circumstance and a deadline suggested the name: the week before releasing this pattern I was in Iceland, and the photos were taken in a tiny town called Holt. It’s so small, Google Maps defines it as basically three buildings (the church plus two caretaker-type houses). Fun fact: Several of the photos from Stephen West’s Westknits Book Three were taken at the same location. I’ll always remember that location when I see these photos, so the name stuck. I hope you enjoy this pattern, and stay tuned for more photos and stories from my trip to Iceland! You can’t see it, but there are sheep running all over the foothills of that mountain. I swear.